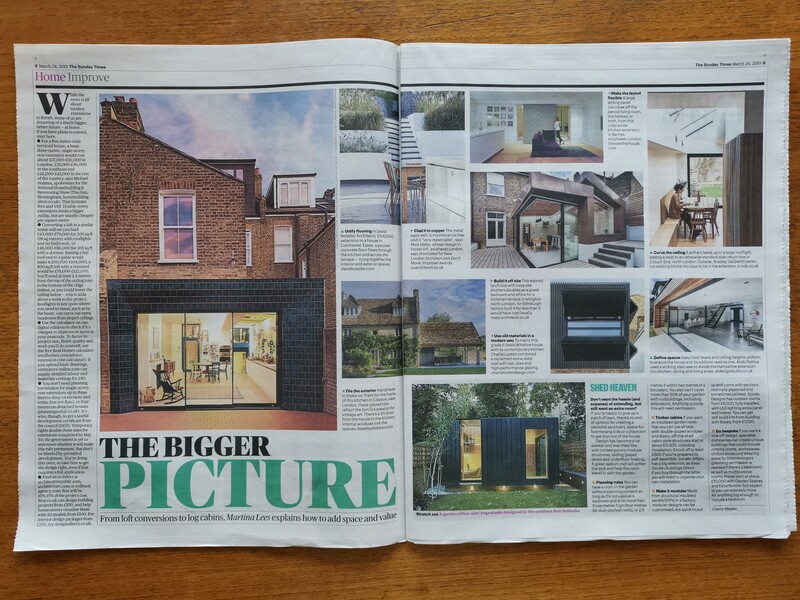 Check out Ogee House in this weekend’s Sunday Times ‘Home’ section as part of ‘Home Improve’. 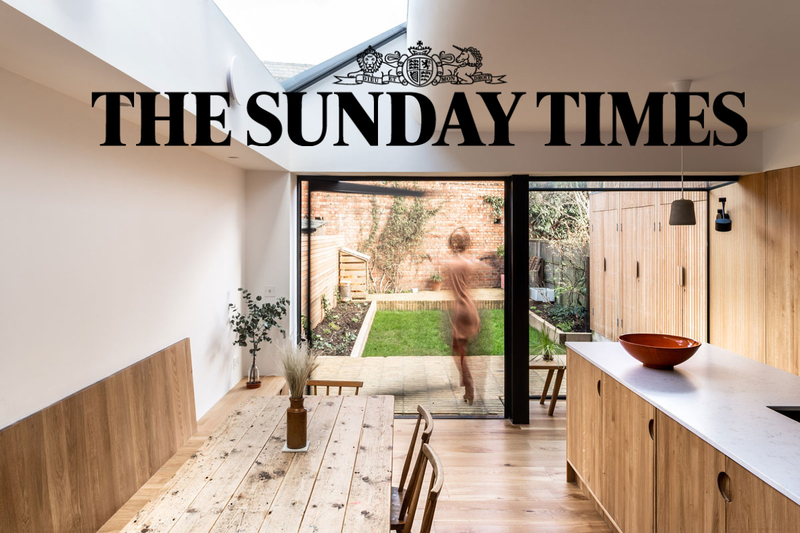 The Times’ uses Ogee House as one of many beautiful, simple examples of single storey rear extensions to London terrace properties alongside the likes of Charlie Luxton Design, Mata Architects and Neil Dusheiko Architects. The softly curved ceiling gets a special mention for its twist on the Victorian terrace extension, as well as the innovative reuse of the existing brickwork as a slip cladding for our Crouch End extension.